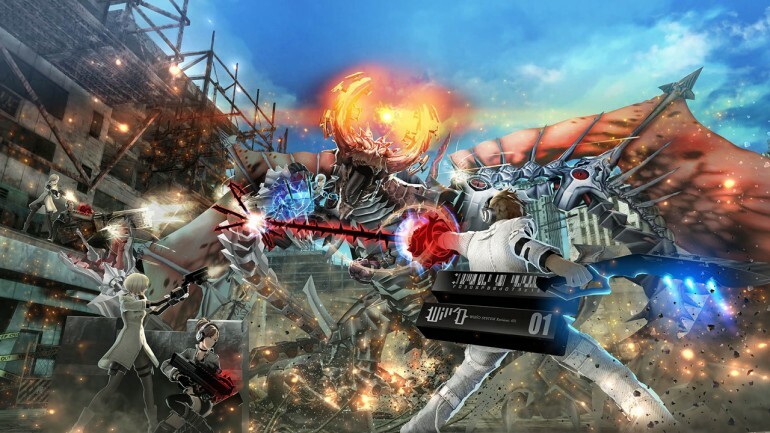 Freedom Wars is an action role-playing hunting game developed exclusively for the PlayStation Vita. SCE Japan Studio is working in conjunction with Shift and Dimps to develop the game. As it stands Freedom Wars will be released on June 26 2014 in Japan and August 2014 in Asia. A North American and European are confirmed with releases planned for some time in 2014. Freedom Wars is set in a post apocalyptic future where pollution has devastated Earth’s resources to the point where they are rare commodities. In order to survive, people have formed communities called Panopticons and fight over the rare resources. As a player you are born into a prison sentence and must rescue civilians, which have valuable rival Panopticon knowledge in order to reduce your sentence and earn freedom. Developed Panopticons have the capability to place other ones under their control, and leaderboard will be used to compare each City-State. Within this mode, criminals fight among themselves. The game will feature online and offline multiplayer, both cooperative and competitive up to eight players. The game features a unique utility whip called the “thorn” in which players can use to zip across the map or pull giant monsters to the ground. The game will also make use of the Near app and the Vita’s built-in GPS functionality. Check out 12 minutes of gameplay and screenshots below.